For those of us who had E=MC squared instilled in us at school, but still have no idea what E, M or C stand for nor care, this is the perfect show. Mr Einstein does not feature in the character list and serious science is mentioned only very whimsically. Instead we have a show more about connectivity than relativity, developed from the loose idea that we are all comets travelling in our own orbits, crossing paths, maybe meeting, maybe colliding. This 80-minute musical entertainment which originated in Canada, is not quite a fully- fledged musical, although perhaps it will eventually become one. Brian Hill’s book links the songs and gives us amusing short sketches, but it does not provide a narrative running through. The general theme is young people making discoveries and feeling their way around life’s common obstacles. A Maths geek (Simon Bailey), obsessed with the perfection of Pi, randomly dates an Art historian (Jodie Steel) with a disastrous relationship history. A young man with an allergy to cats (Curtis Brown) becomes besotted with a girl who is inseparable from her feline friends. An OCD sufferer (Natasha Karp) dreads the prospect of eating a cake made especially for her by her boyfriend, who has touched all the ingredients with his hands. A lifelong hater of apples (Joshua LeClair) finds himself an unlikely soulmate A young woman (Rebekah Lowings) announces her engagement to her girlfriends, trying to pretend that nothing will change. And so on. In more wistful moments, an only child (Ina Marie Smith) pays tribute to her mother, a student (LeClair again) reflects on the footprints that he has left in the shifting sands of his past and another young man (Andrew Gallo) sings of the weight of family expectations. The songs – solos, duets and chorus numbers – are performed in Christopher Lane’s very simple production with keyboard accompaniment on a stage adorned only by a high stool for each of the eight performers. Neil Bartram’s varied middle-of-the-road music is always easy on the ear and climaxes with Nothing Without You, a rousing anthem for the entire company which would not have been out of place in a Broadway or West End hit. However, it is Bartram’s witty and thoughtful lyrics which really stand out and beautifully clear singing showcases them perfectly. Relaxing and uplifting, this show offers an ideal way to spend an early Summer evening and, for those of us who are always on the lookout for the next Sondheim, well who knows? Taking a train, a ferry and two buses to arrive at his parents’ remote home in Northern Ireland, Johnny is greeted by three invisible dogs and a mother who barks at him louder than any of them. So begins Tim Foley’s debut full-length play, which becomes a harsh and bruising study of a family living with schizophrenia and of the cross-generational effects of that condition. The play is described as a “dark comedy”, but, although there are humorous touches, it has an overriding bleakness which often belies the comedy tag. The Old Red Lion seems to have become a magnet for interesting new writing and its compact configuration is perfect for a claustrophobic domestic drama such as this. Libby Todd’s set is an austere kitchen, the centrepiece of the home of a family reduced to frugal living as a consequence of illness. “Mam” has become reclusive, selfish, dependant on medication and she does little more than brood or sleep in her armchair, pampering her beloved dogs. Maggie O’Brien plays her as tormented and resentful, her pent-up anger being released in tirades of vicious and irrational abuse towards her husband and son. Her long-suffering husband (Paul Stonehouse) is her carer, his motivation being duty born out of staunch Catholicism more than real affection. He claims to see the dogs which are invisible to Johnny, but maybe he does so just to pander to his wife. A neighbour (Melanie McHugh) also sees the dogs, but could she be imaginary? 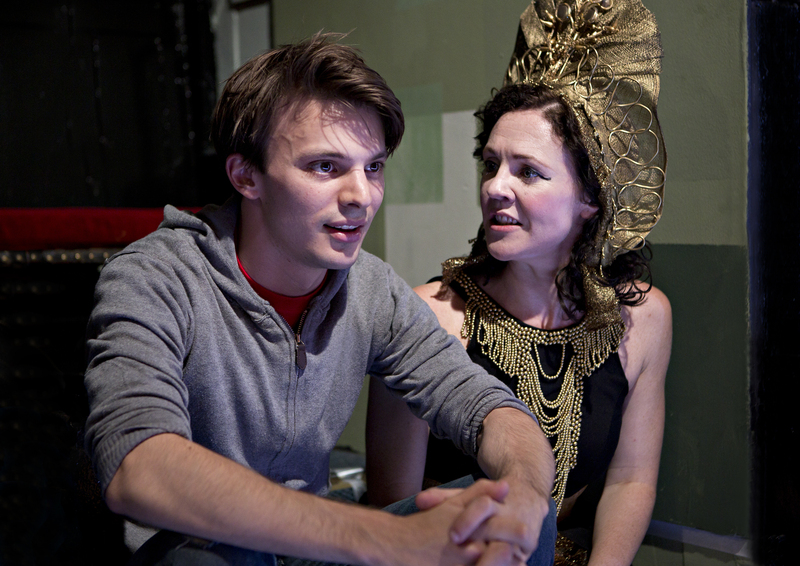 Certainly imagined is Cleopatra (McHugh again), who toys flirtatiously with Johnny when he slips into his alter ego of the mighty Caesar. Richard Southgate’s Johnny is uncertain and afraid. He debates with himself whether what he sees as the onset of mental illness comes from nature or nurture. Trying desperately to deny a genetic link, he goes back to childhood incidents, memories of which his mother uses to torment him cruelly, and thinks of words heard and misinterpreted in order to explain his delusions. Most obviously, he connects them to a computer game with which he has become obsessed and the play asks us to consider the links between virtual reality and insanity. Foley’s play meanders at times before finding its purpose and some early scenes could benefit from trimming, but Tom O’Brien’s tight production comes strongly to the boil in two explosive second act scenes. The drama draws heavily from the symbolism of the dogs, teasing us with what is real and what is imagined, what is normal and what is madness. Johnny doubts his sanity when he cannot see the dogs, but then neither can we, the audience. Having met the cast and director Nikolai Foster, at the press launch of this touring production – http://www.thepublicreviews.com/preview-beautiful-thing-back-on-tour/ – I was intrigued to see it on stage and what better place to catch it than at the splendid Curve, where Mr Foster is Artistic Director? Sadly the tour will be going no further than here, but congratulations are due to the entire team for reinvigorating Jonathan Harvey’s groundbreaking work of theatre and giving it a modern feel, whilst staying true to its original period and setting – the 1990s in a South London social housing block, represented in Colin Richmond’s set by three adjacent blue doors. 20 years ago, it drew the tag “gay play”, but now, with it’s surprise value diminished, it can be seen more clearly as what Harvey may have always intended, a simple demonstration of the basic human needs of caring and being cared for. Take, for example, Leah, delightfully played by Vanessa Babirye, who is excluded from school and just about everything else in life; she lacks a caring parent, but finds consolation in the music of Mamma Cass, whose warm, melodic voice provides the show’s backing track. Sandra (Charlie Brooks at her feistiest) is a single mother, struggling to make ends meet working in a bar and she attaches herself to a succession of unsuitable boyfriends, the latest of which is Tony (Gerard McCarthy). Her sensitive 15-year-old son Jamie (Sam Jackson) plays truant on days when Games is on the school timetable; he has become used to standing up to her and the pair bicker constantly, but, thanks to fine performances from Brooks and Jackson, the strength of the bond between mother and son is never in question. Neighbour Ste (Thomas Law) lacks such a stabilising influence, his drunken father brutally abusing him and it is when he takes refuge in Sandra’s flat that his relationship with Jamie starts to develop. The great beauty of Foster’s production is how it picks out small and humorous gestures of warmth in Harvey’s script and magnifies them – Jamie rubbing foot cream (the only thing he could find) into Ste’s bruises, Jamie accepting a gift of a woolly hat from Ste and snapping “I’m having it”, instantly realising that the significance of the gift is far more important than a detail such as whether or not it fits. Again Jackson and Law have great on-stage chemistry, getting us rooting for them as they set out tentatively into a world which they realise may be hostile towards them. In less confident hands, a lot of this could make up too sugary a pill for many to swallow, but here it has a savoury coating extracted from real life and it becomes irresistible. Who ever knew that Lichfield could be so much fun? 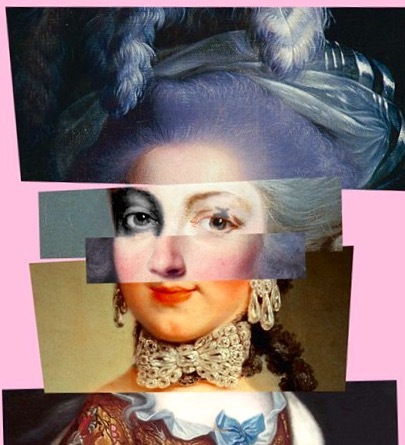 George Farquhar’s joyful romp from 1707 begins with two penurious London gentlemen (Samuel Barnett and Geoffrey Streatfeild) arriving disguised in our smallest cathedral city with a stratagem to hook a pair of rich ladies. Once there, they encounter, amongst many others, a drunken husband with a lusting wife, French officers taken prisoner, an Irish-Belgian priest, several buxom wenches with drooling pursuers, a gang of highwaymen and so on. Director Simon Godwin gives a lavish and richly comic production to a play that is ridiculously over-plotted and totally nonsensical from start to finish. Lizzie Clachan’s towering set of multiple staircases is breathtaking and Michael Bruce’s music fits in perfectly with the text, always pleasing to the ear. Barnett and Streatfeild shine, Susannah Fielding’s maltreated wife sounds feminist battle cries 200 years ahead of her time, Pearce Quigley achieves the production’s best laughs-per-line ratio as the droll servant Scrub, but the cast of over 20 all give excellent performances. This is the sort of thing that the National ought to do better than anyone else and, happily, it lives up to such expectations. 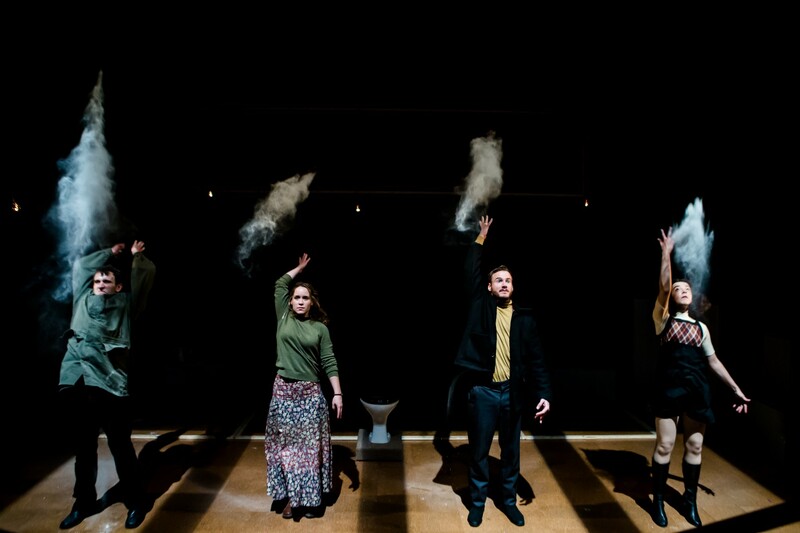 Having established himself as a chronicler of modern British political history, James Graham now turns to anti-politics with this fact-based look at the early 1970s anarchist movement of the play’s title. This is actually two plays – one concerning the police investigation and the other set amongst the anarchists – which Graham instructs can be performed in either order with the same actors, or with different ones. James Grieve’s production gives us the police play first and uses the same four actors – Mark Arends, Pearl Chanda, Harry Melling and Lizzy Watts – in both. The order is the correct one, leaving the best until last. The police play shows us four young officers brought together by Scotland Yard to introduce some joined-up thinking to the hunt for terrorists who are modelling themselves on European equivalents and placing home made bombs at key locations in London. The point that the person sitting next to you on the tube could be one of the anarchists is well made and, ironically, the hunt itself becomes anarchic, with the officers beginning to long for release from the shackles of their everyday lives. The problem is that the play rambles aimlessly for too long at the beginning and its comedic tone does not sit well with the material; dealing with a bumbling police unit, there are times when an appearance by Rowan Atkinson would not seem out of place, except that the play is never really very funny. All attempts at comedy are abandoned after the interval when we join the Brigade in its quest to undermine the British social structure. And a very angry brigade it is, tearing down walls and hurling filing cabinets across the stage. The key protagonists are Jim (Melling). venting rage and frustration born out of the constrictions of growing up in Northern England during post-War austerity, and Anna (Chanda), a nascent feminist who is the first in the group to realise the value of what she in intent on destroying and thereby becomes the Achilles’ heel which the police can target. Graham gives the play’s most eloquent speeches to Jim and Anna, providing fascinating argument and counter-argument, but the most telling moment comes when she sets a dinner table awaiting Jim’s return to their squat, instinctively using that symbol of middle class convention – napkins. Much of what Graham writes can be related to modern day extremism and the assertion “the Tories always win” is as true as ever in 2015. Flawed and uneven as it is, this production is full of interesting insights. The Welsh town Bridgend has gained an unenviable reputation for being the UK’s capital of suicide, reporting extraordinarily high figures which have led to suspicions of a cult, particularly amongst teenagers. Robin Soans’ new play, examines that fractured former mining community by looking at three of the town’s inhabitants: two schoolgirls – the self-harming Darcy (Lauren Roberts) and Meryl (Katie Elin-Salt), a budding writer whose abusive father commits suicide – and the local celebrity, Welsh International Rugby player Gareth “Alfie” Thomas, tortured and near suicidal through the process of admitting his homosexuality to the World. Soans politicises his play with an appearance by Neil Kinnock (Patrick Brennan) who says: “Scargill and Thatcher between them killed the mining industry…what was particularly sickening was the way Thatcher claimed ownership of a change that was inevitable while at the same time blaming the mining communities, but what it meant was that no social cushioning had been put in place nor was it going to be.” It is not clear whether Kinnock has himself articulated such views, but perhaps, if he and other figures on the left of politics had possessed the courage to acknowledge these obvious truths at the time, the healing process for Bridgend and similar communities could have been speedier. Soans seems to be telling us that his three central characters and Bridgend as a whole now have to face up to reality, re-group and move on. The boldest feature in Max Stafford-Clark’s production is having Thomas played, more or less equally, by all six members of the cast (the others are Rhys ap William, Daniel Hawksford and Bethan Whitcomb), only one of which is both male and in the correct age group. 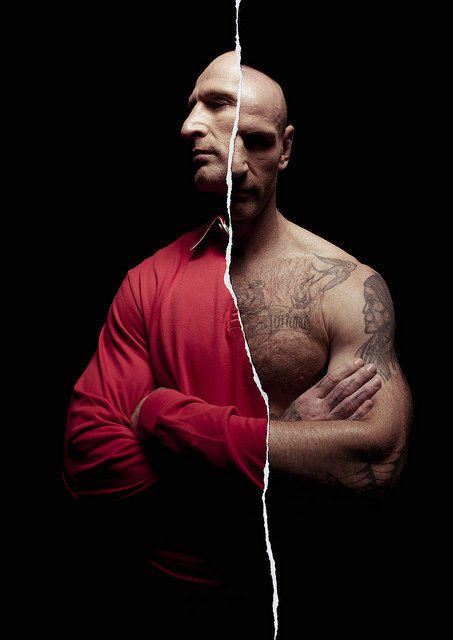 The actor who is to be Thomas dons a red Rugby shirt and receives a ball passed by his/her predecessor. This device has the remarkable effect of showing Thomas as belonging to the community, the well publicised trials and torments of a celebrity being of no greater or lesser significance than those of others, his denial of the truth reflecting the plight of his town. However, the effect comes at a cost, as scenes dramatising Thomas’s personal crisis are robbed of authenticity and power. Soans touches on the dilemmas facing gay sports personalities and on intrusions of prurient media into private lives, but such concerns are made to seem secondary. Hearteningly, Soans sees a bright future for all of his three central characters. He tells us that Bridgend embraces its gay son once he has come out – we have seen in Ireland this very weekend how ordinary people can prove to be much wiser than moral guardians such as media hypocrites or religious leaders – and, as in a Rugby scrum (the metaphor in the play’s title) they huddle together and prepare to advance. Beautifully acted and gripping throughout, this is, notwithstanding its flaws, a brave and imaginative piece of theatre. Shakespeare described life’s last scene of all as being “second childishness and mere oblivion….sans everything”. French writer Florian Zeller now expands that scene into this 90 minute play, translated by Christopher Hampton. 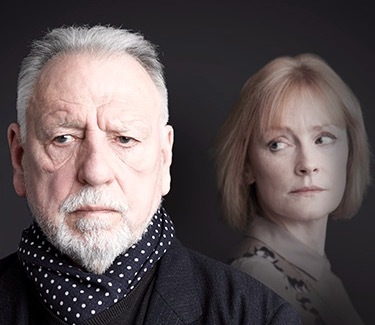 “The Father” is Andre, played with intense feeling by Kenneth Cranham, a retired engineer, once a man of intellect and dignity, now afflicted by the onset of dementia and clinging desperately to the wreckage of his life. His only surviving daughter, Anne, is torn between duty towards her father and living her own life. The set-up seems to suggest that we are in for a worthy if rather routine drama about caring for the elderly, but Zeller’s novel twist is to tell the story from the perspective of Andre, rather than from that of Anne, thereby giving the audience an insight into Andre’s nightmare. Each short scene ends with the stage blackening and then, after a brief spell of grating music, the lights return for us to see possibly the same room, but with some slight difference – perhaps an unfamiliar character appears or a piece of furniture disappears – and what is said may contradict what we have been told previously. As Andre becomes confused and disorientated, we share in his experience, unable to distinguish between truth and make-believe, not knowing exactly where we are. The device is executed brilliantly and it also opens the door for some delightful comedy to relieve the gloom of a tragic situation. Andre’s regression from proud senior citizen back to childhood and eventually infancy is played out as something like a harrowing comedy. The great strength of Cranham’s performance is his ability to show us the man that Andre once was as well as the pale shadow of him that he has become. Claire Skinner matches him by bringing out the suffering of Anne as she tries to care for her father, only to be faced with wounding insults from him and little support from her partner. James Macdonald’s sensitive production is seldom sombre in tone as it charts a tragic and unstoppable decline and it becomes deeply moving when the play reaches its own last scene.